Amber – is one of the common name for fossil resin that is appreciated for its inherent beauty and is widely used for the manufacture of ornamental objects. Although not mineralized it is sometimes considered and used as a gemstone. Most of the world’s amber is in the range of 30 – 90 million years old. Semi-fossilized resin or sub-fossil amber is called copal. Baltic Amber – The finest quality amber in the world from Baltic Sea region. Baltic amber is fossilized resin produced by pine trees, which grew in Northern Europe – from southern regions of the present-day Scandinavia and nearby regions of the bed of the Baltic Sea. AMBERIF – International Fair of Amber, Jewelry and Gemstones. Takes place in Gdansk (the historic city, well known for the finest Baltic amber jewelry) , Poland every year. Baltic Amber Inclusion – The resin contains, in addition to the beautifully preserved plant-structures, numerous remains of insects, spiders, annelids, crustaceans and other small organisms which became enveloped while the exudation was fluid. Chandelier earrings- Earrings in a style marked by delicate multi-stranded dangling jewels. Cultured Pearls – A cultured pearl is a pearl created by a pearl farmer under controlled conditions. Freshwater pearls – are pearls from freshwater mussels. They are produced in Japan, China, and the United States, and were formerly produced in Scotland. Filigree- is a jewel work of a delicate kind made with twisted threads usually of gold and silver. This is typically seen in antique style jewelry and rings. Gemstone – is a mineral, rock (such in the case of lapis lazuli), or petrified material that when cut or faceted and polished is collectible or can be used in jewelry. Others are organic (such as amber, which is fossilized tree resin, and jet, a form of coal). Handmade jewelry – is that which is crafted by hand, just as jewelry has been since it was very first created by humans. Unlike modern machine-made jewelry, no two pieces of handmade jewelry – even of the same design – will be identical. Jewelry Blog – provide commentary or news on jewelry subject such as jewelry products reviews, buying tips, jewelry care etc. Blog combines text, images, and links to other blogs, web pages, and other media related to its topic. The ability for readers to leave comments in an interactive format is an important part of most early blogs. Sterling Silver – Fine silver (99.9% pure) is generally too soft for producing large functional objects, and in Sterling the silver is usually alloyed with copper to give strength whilst preserving the ductility of the silver and a high precious metal content. 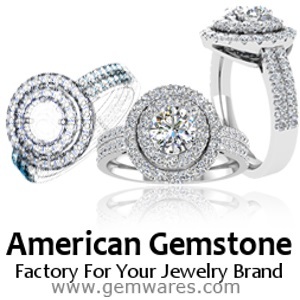 Jewelry Search Engine – is a custom designed niche search engine, which returns quality and jewelry relevant pages. Its database consist of hundreds jewelry industry related domains. Therefore provide highly relevant results and make easier and quicker for you to find specific information you are looking for.